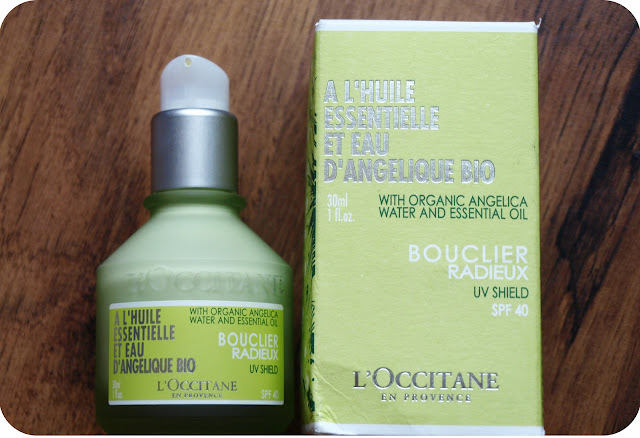 I absolutely love L'Occitane products and after trying a couple of things from the Pivoine Delicate range I fell in love with this brand and bought a couple of body butters and some other goodies from their online store. 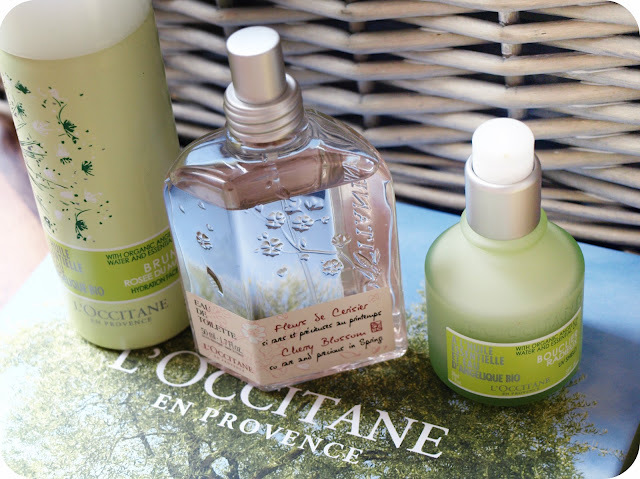 Today I would like to mention three L'Occitane Summer Essentials. I am afraid that British summer is over and we won't be sunbathing in our gardens again this year, but I really wanted to share my thoughts with you. I am going on holiday in September and I will be taking these with me. "Made with organic angelica from the Drôme region of France, the Angelica UV Shield SPF 40 efficiently protects skin from the harmful effects of the sun (UVA/UVB). With its light and silk smooth texture, this face fluid helps preserve skin’s vitality. After use, skin is immediately moisturised and revitalised. With continued use, skin is plumped, smoothed and radiant. Suitable for all skin types. Dermatologically tested. Non-comedogenic." I am all about sun protection and I try to use moisturisers and make-up products with SPF, but all the foundations I use have got very low SPF and it isn't enough for me. I like to use high filters, like 30, 40 or 50 on my face. The Angelica UV shield is the lightest formula I have ever tried. It is quite runny, but it doesn't matter, it is actually a good thing to me, as it absorbs quicker and doesn't leave a residue. It smells amazing, like the rest of the Angelica range. It doesn't have the typical SPF scent. It leaves my skin smooth, protected and also works well as a primer. I use a tiny amount on my face and neck and I can see the results immediately, my face looks more radiant and feels soft to the touch. "The Angelica Hydration Face Mist instantly refreshes and hydrates the skin at any moment of the day: in the city, on an airplane, at the beach, or after exercising. 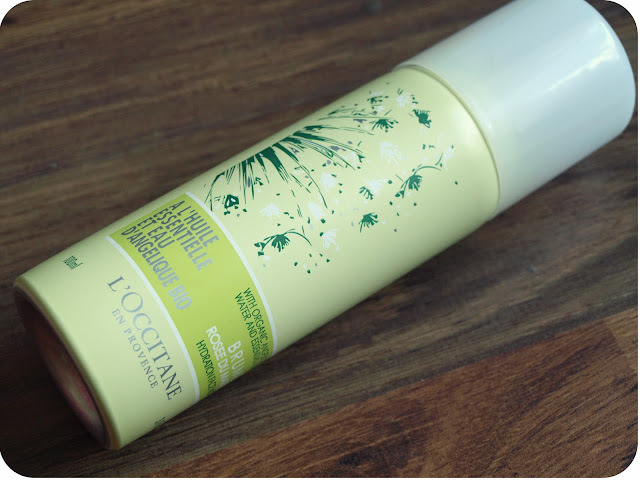 This mist can be used after the Angelica Cleansing Gel to complete your daily cleansing routine. The Angelica Hydration Face Mist can also be applied to achieve a long-lasting make-up finish." This product is a must have for summer! I can't believe I used to live without it. I don't want to sound overenthusiastic, but I am obsessed with it and I will be buying my next bottle as soon as this one runs out. It is so refreshing! Imagine the feeling of a cool mist on your face, when you are feeling hot on a very sunny day... it is an amazing feeling. It can be applied anytime, on clean skin, over make-up, before bed, in the morning. I didn't expect it to work wonders as a finishing spray for setting make-up, but it is an amazing setting spray. If I spray it on my face in the morning and mid-afternoon it keeps my make-up in place all day, looking fresh and more natural. It seems to make my foundation look more dewy (I like it) and adds a nice glow to my skin. I can't recommend it enough and I am sure you will love it as much as I do and I think that £15 is a reasonable price for such a great multi-purpose product. "A soft, fresh and floral subtle fragrance with cherry, freesia and blackcurrant top notes." When it comes to summer fragrances I love fruity and citrusy scents. I don't want to pretend that I know about perfumes and can name all the notes. I will leave it to the experts. 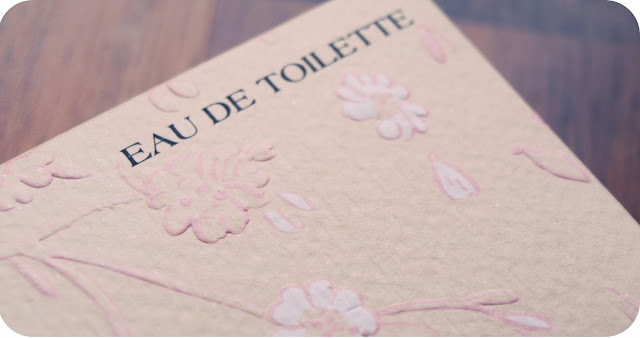 I can tell you that it smells lovely, light, floral and fruity and makes me feel very summery, even on a rainy day. 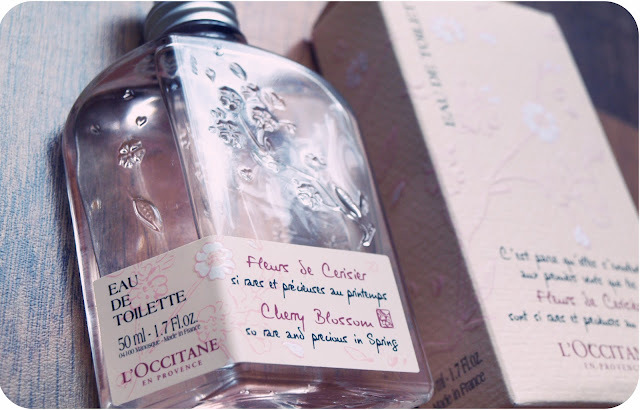 I can definitely recognize notes of Cherry Blossom and Freesia. 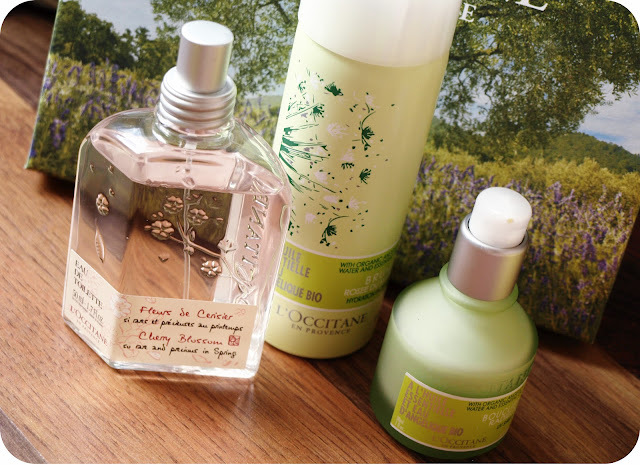 It is a subtle, girly fragrance, perfect for a Holiday or for everyday wear. It isn't too sweet and it stays on for about 4 hours. 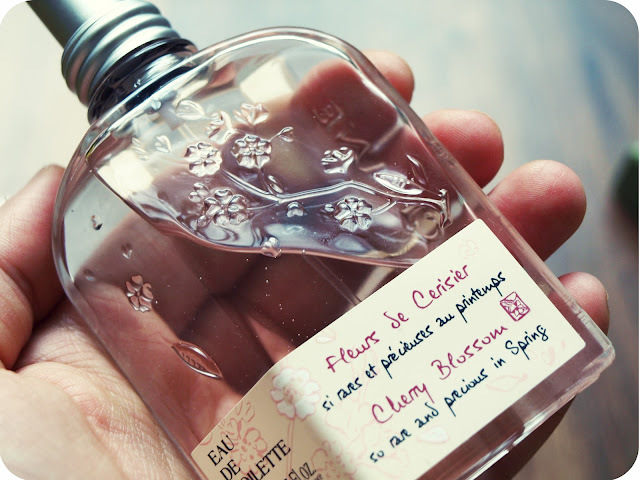 The bottle is gorgeous with a beautiful cherry blossom detail and would make a perfect gift. I keep it in my bag and it fits perfectly into the side pocket. (It makes me appreciate the design even more).